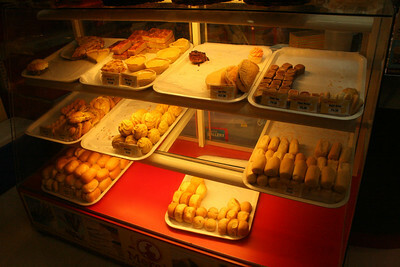 On one hand, I declare that all baked goods in Bacolod are sweet, so I was really craving some savory breads when we were there. And no, it's not really a complaint because we did enjoy those breads. 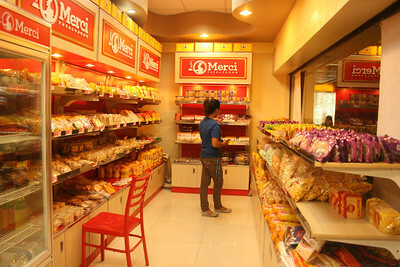 Anyway, Merci Pasalubong is probably the equivalent of a 7-11 Bakeshop in Bacolod, in the sense that they're everywhere (but aren't open 24/7). 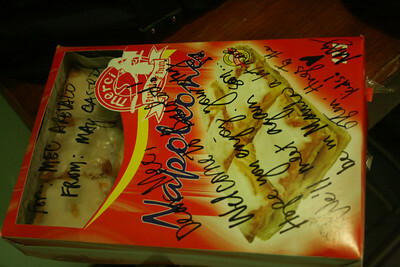 And since my friend decided to welcome us there with Napoleones from Merci, then I assume that theirs is the best. So, if you're ever in Bacolod and looking for something to bring the best of Bacolod to your family and friends, please make sure you visit a Merci Bakeshop and splurge on their baked goodies. Where is this located? Kind of confused coz the title says Bacolod, but one caption on your photo says a branch is beside One Lourdes Dormitel..which is in Iloilo?